Twenty-four hundred years ago, a 75-foot Greek ship sank to the bottom of the Black Sea. Its final resting place was over a mile beneath the surface, where oxygen levels are extraordinarily low. That lack of oxygen preserved it for centuries until researchers with the Black Sea Maritime Archaeology Project recently discovered it. It is thought to be the oldest intact shipwreck ever found. “A ship surviving intact from the classical world, lying in over 2km of water, is something I would never have believed possible,” said Professor Jon Adams, the principal investigator with the Black Sea Maritime Archaeology Project (MAP) to the The South China Morning Post. “This will change our understanding of shipbuilding and seafaring in the ancient world.” The Greek vessel is amazingly intact, complete with the mast, rudders, and rowing benches. 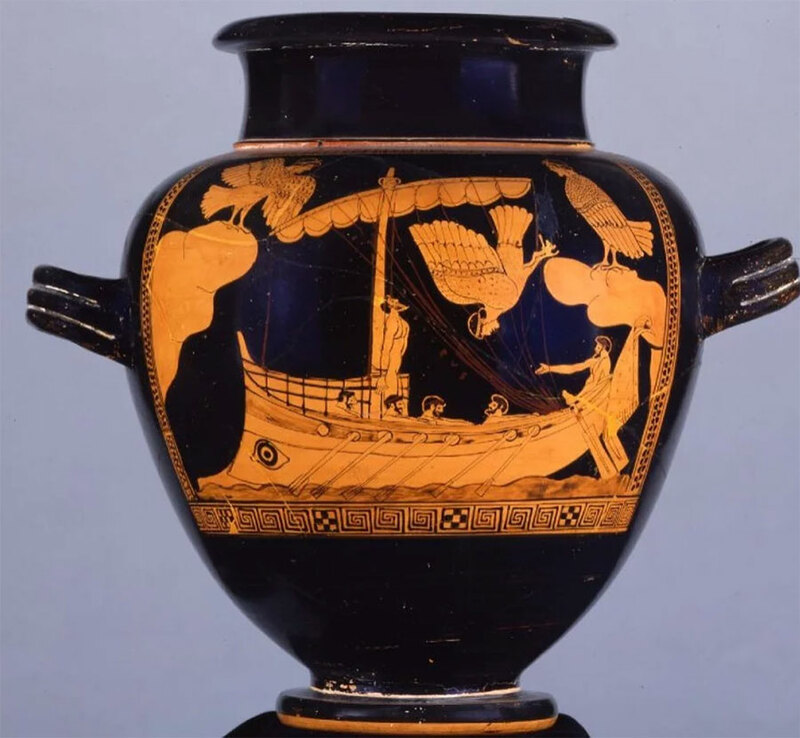 Until now, this particular type of vessel has only been seen on ancient Greek pottery. One such piece shows Odysseus, the protagonist from Homer’s Odyssey, aboard a similar style of ship lashed to the mast to resist the song of the Sirens.